We need new prospects. Now! Our organization has to raise $10,000 more. This week! I promised the board I would add 500 new names to the e-mail list. I better find some names pronto! With the amount of work to be done and the relative scarcity of time and resources in most development offices, many fundraisers feel “perpetually behind,” and racing to catch up, which adds even more stress and anxiety. When fundraisers are focused solely on our current deliverables, we miss out on the one thing that can not only dramatically increase our fundraising capacity, but also significantly reduce stress and tension in the office and make our entire development program run more smoothly: systems. I once had a short consulting project with a mid-sized American non-profit. The organization was raising enough money to fund its programs, and growing at a slow but steady pace. The Executive Director, however, was worried. She had good reason for concern… the average tenure of a development staff member at the organization was just over 18 months. This made it impossible for fundraisers to build long-term personal relationships with donors, and meant that the organization (which had 5 full-time development staff members) was constantly training new people and dealing with the hassle of integrating new team members. What was the cause of this rapid turnover? The organization was meeting its fundraising goals, and growing steadily. Shouldn’t everyone be happy? As it turns out, the reason fundraisers left the organization after only a year or two was because of the crazy pace of the work environment. At this office, everything was a crisis. People were constantly tossing around “great” new ideas for raising more, and staff members were running around trying everything to see what would stick. It was the kind of office where you would show up at a development staff meeting with some questions on how to grow the planned giving program, and leave with 12 new projects that had to be done ASAP in order to meet your revenue goals. This kind of fundraising program isn’t sustainable. It leads to stress, high turnover, and eventually, lower fundraising revenue caused by worn out donors, board members and staff. Once we figured out the problem, we knew the solution: fundraising systems. 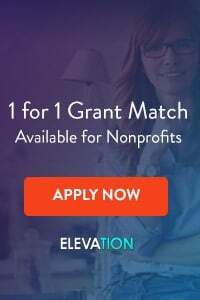 The organization needed to put the brakes on the crazy, “try everything and see what works” fundraising, and instead develop a plan and some systems to handle things like finding new donors, making better asks, and stronger donor communications. Fundraising systems lay out your non-profit’s strategies for each of your most important activities. 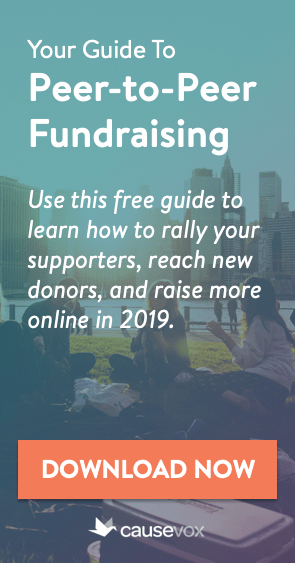 Without fundraising systems, your organization is stuck trying to figure out how to approach each new donor and reinventing the wheel every time someone suggests a new fundraising event. With fundraising systems, your non-profit has a list of activities to generate new prospects, knows how to handle new donors and has a criteria for deciding whether a new event is worth it, and if it is, a step-by-step plan for running a smooth and profitable event. We implemented a series of new fundraising systems at the non-profit I was working with. 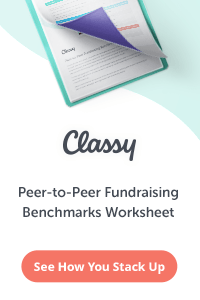 We took a few weeks off from the crazy, and systematized all of the fundraising work of the organization, wrote a new fundraising plan, and trained the entire development team on how to implement and use the systems we had created. Guess what? After 24 months of the new systems being in place, staff turnover had dropped (in fact, not one development staff member had left after the new systems launched), and fundraising revenue had gone up over 21%! That is the power of fundraising systems for non-profit organizations. Is your non-profit effectively using fundraising systems? If not, be sure to check out our free two-part series Creating Fundraising Systems for Your Non-Profit. 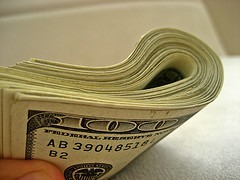 Previous post: Are You Using the Hierarchy of Fundraising Asks?